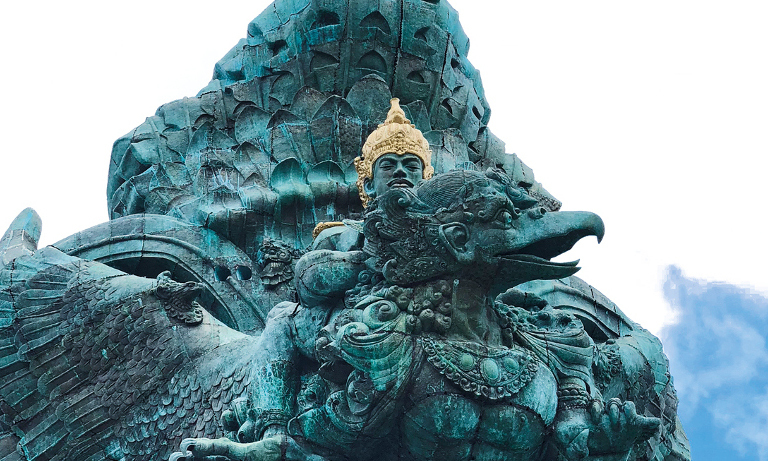 Balinese art has a rich and unique history dating back over 400 years. Originally the work of artisans from the East Javanese Majapahit Empire (13-16th Century), this special narrative style of painting expanded into Bali in 1343 when the Majapahit conquered Bali, introducing the Hindu culture, and institutions. The Kamasan paintings feature two-dimensional compositions with imagery derived from the Wayang shadow puppet theatre, one of the original story telling methods in the Balinese Hindu culture that may be traced back over 2000 years to India. 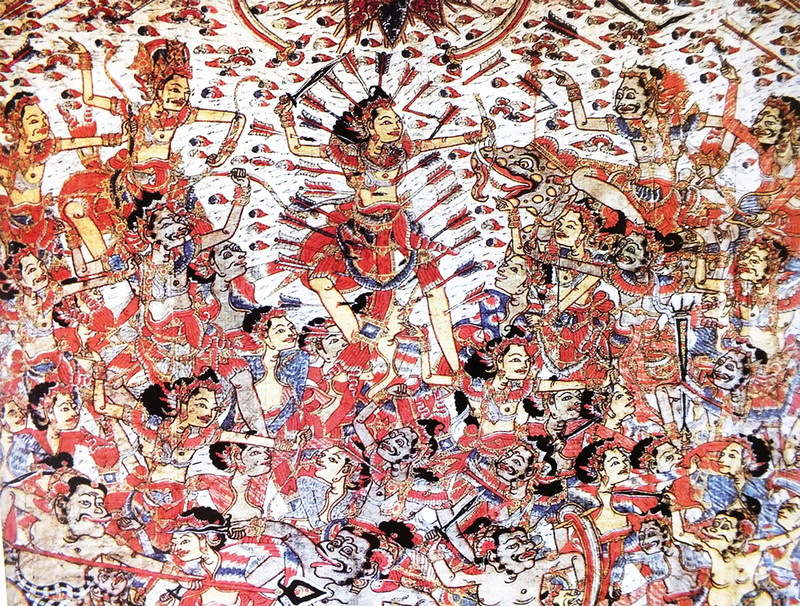 Often depicting battles between the forces of good and bad, the narratives originate from the Hindu and Buddhist texts, and old Javanese-Balinese folktales. The paintings decorate Balinese temples and adorn the houses of the aristocracy. They communicate about the philosophies of life, religion, ethics and morals, as well as flora and fauna and astrology, while serving to bring peace and harmony to society. Referred to as an ancient academic art, it differs from modern systems by placing more emphasis on contemplation, the role of the senses, meditation and direct application. The formation of the Dutch colonial state in the early 20th century had a massive, disruptive impact upon the Balinese social structures. Patronage was previously inherent to social belonging: the king, village, or clan commissioned a work from an artist, or a group of artists for some rice, or possibly a piece of land. Under foreign rule artists no longer worked solely for their palaces, yet had to contribute free manual labour, suffering loss of status, privileges, and the spiritual returns of working for royalty. A revolutionary period of creativity began in Ubud in the 1930’s having a dramatic effect upon the traditional Balinese art, along with the lives of many Balinese. 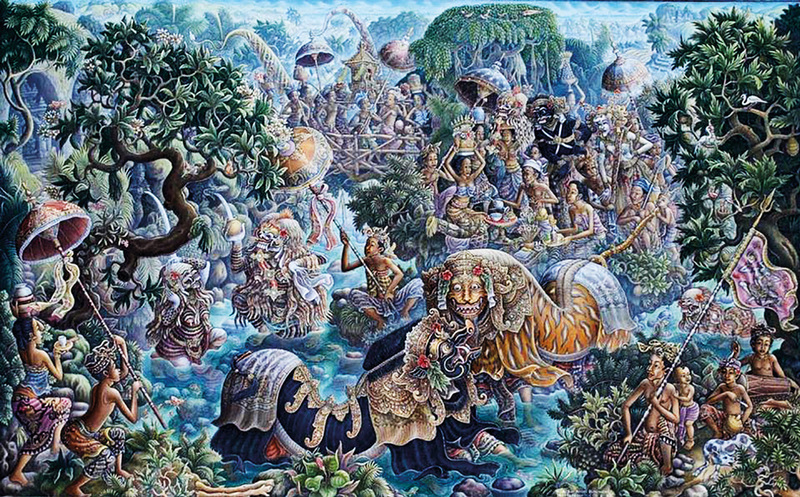 A new genre was born, Balinese modern traditional art, featuring the introduction of western techniques with more realistic iconography, and modern narratives to cater to a burgeoning market for souvenirs purchased by the initial wave of foreign tourists to visit Bali. Important patronage came from early western settlers, along with the Ubud royal family, who later in 1954 opened Ubud’s first museum, Puri Lukisan. 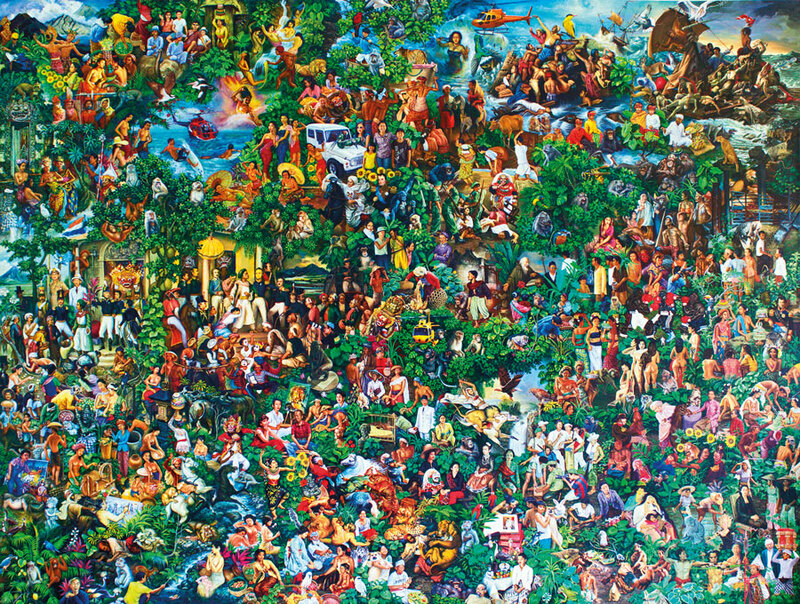 A new era of private patronage began, post 1970’s, during the second wave of tourism, when successful art dealers became gallerists, and then museum founders in Ubud. Suteja Neka opened the Neka Art Museum, Agung Rai established ARMA, and Nyoman Rudana opened the Rudana Museum. An important modern day chapter of art patronage is accredited to Australian collector Colin McDonald QC, who first visited Bali in 1983. “I was immediately arrested by the beauty of the landscape, along with the art, and was eager to return,” said McDonald, who at the time was a collector of Australian aboriginal art. The process of becoming a Balinese art or general art connoisseur is driven by a thirst for knowledge, and meeting and learning from other collectors and experts. 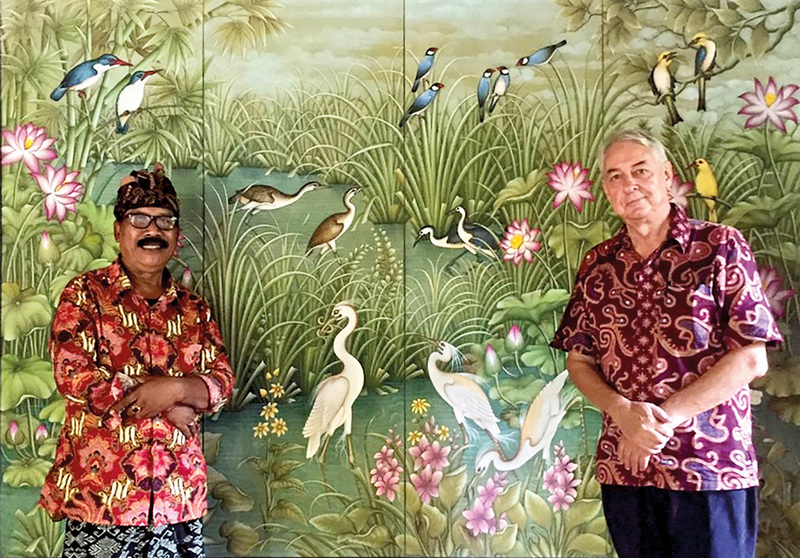 McDonald frequented the Rudana Gallery, and later the Neka Museum, and there he met important Indonesian collectors who were willing to share about their passion. 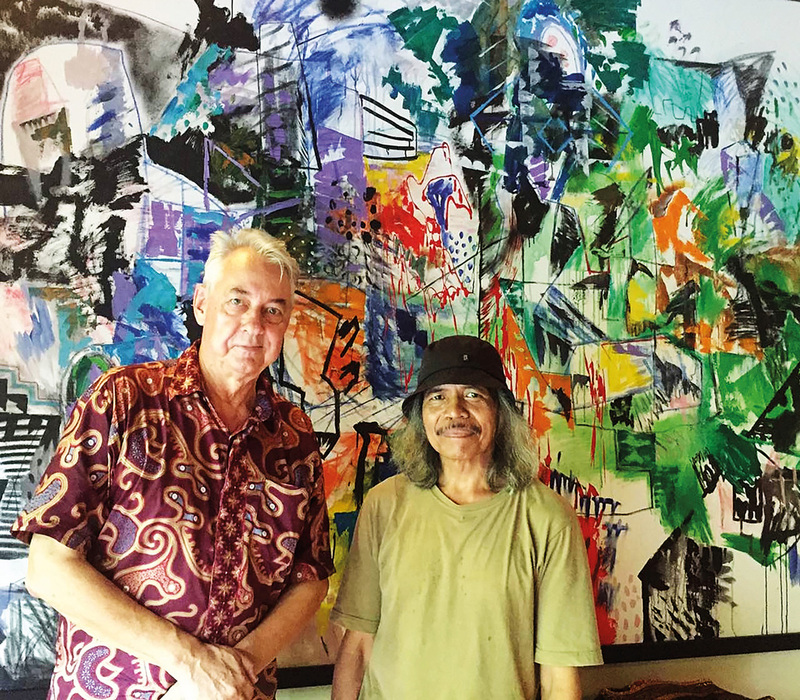 McDonald started collecting contemporary art and he loved to immerse himself in the local Balinese art community. Today he owns more than 400 pieces, sketches, drawings paintings, installations and sculptures. 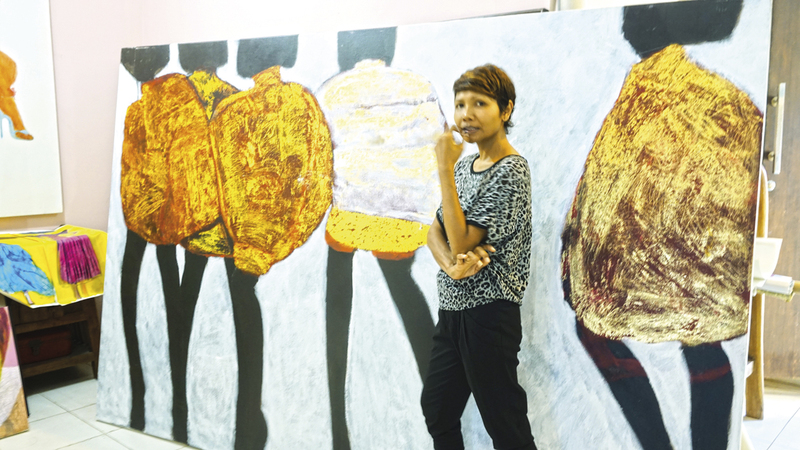 In 2011 he went on to establish, in conjunction the Northern Centre for Contemporary Art in Darwin, the “Artist’s Camp” for Indonesian and Balinese artists to visit the Northern Territory of Australia to interpret the landscape and the indigenous culture.